I think the gear ratio of reels is one of the most overlooked aspects in bass fishing. They are not all created equal and it's the first thing you should consider when purchasing a reel. If you accidentally buy the wrong ratio for your technique-specific rod, you'll be frustrated from your very first fishing trip with it. I put this guide together a few years ago that fully explains the different applications for each gear ratio. 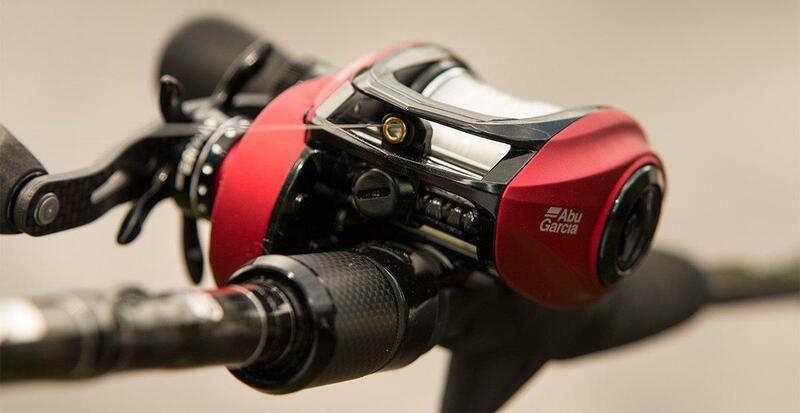 With that being said, I've been super excited to test the new 10.1:1 gear ratio Abu Garcia Revo Rocket. It's crazy to think they can fit so much into such a streamlined, low-profile package but after a few months of fishing with it, you can color me impressed. I'll go over the features I think are most noteworthy about this new bass fishing reel. They call it the "Rocket" for a reason. 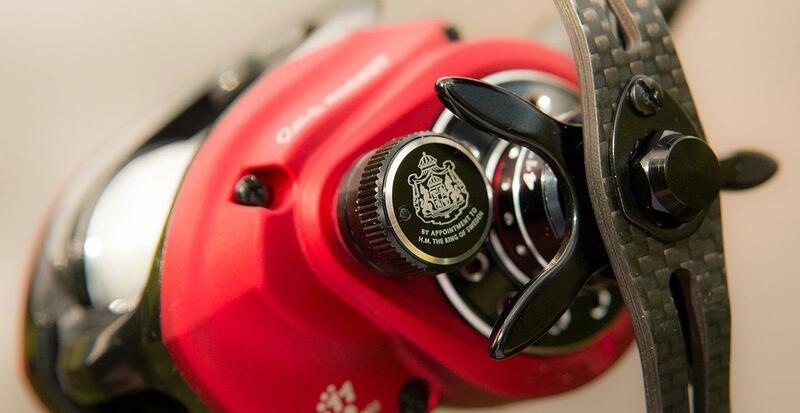 With every turn of the reel handle, the Revo Rocket takes up 41 inches of line which is unheard of. 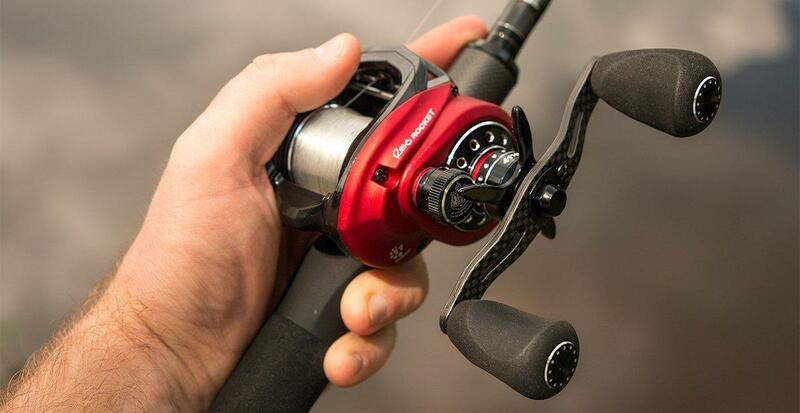 If you're using any technique that requires bottom contact, you'll certainly notice a difference in your efficiency and hookup ratio with this reel. It has made pitching, flipping and dragging in the hot summer months much more tolerable for me. I like to fish fast and I have a tough time slowing down and soaking a soft-plastic bait. This reel, however, allows me to make targeted pitches and flips into shallow cover and quickly retrieve my bait to make subsequent presentations much quicker. So instead of burning a bunch of time fishing down a stretch of bank, I can quickly hit my targets and move on to the next area. This time of year is a numbers game and this Rocket lets me put my bait in front of as many active fish as possible. It's a bad feeling when you finally get a good bite, but the bass runs right towards your boat and you're unable to catch up to it. It has happened to all of us at some point, but more times than not it's caused by using a reel with a low gear ratio. 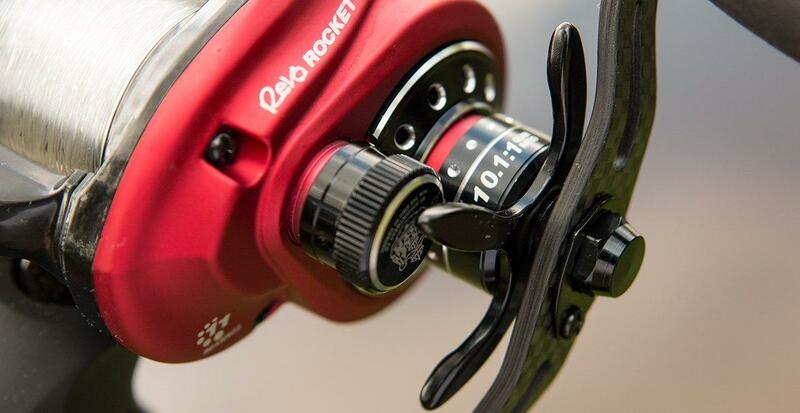 You will not have that problem with the new Revo Rocket. I've been testing this reel in some really tough conditions and the bites have been very subtle, which means I often have to quickly retrieve my slack to make up for my delay in identifying a bite. It has been pretty amazing to see how quickly this reel eats up slack line and enables such quick and effective hooksets. So far, I haven't lost a single fish on this reel. This reel features a Power Stack Carbon Matrix Drag System, which might sound a bit overwhelming. In simpler terms, however, it means that this reel has some serious shoulders for wrenching bass out of ridiculously thick cover. I always fish with a locked-down drag system and the Rocket's drag hasn't slipped once while I've been using it. I actually got snagged in a deep brush pile and when I pointed my rod tip at the brush pile and started trolling the opposite direction, the reel started pulling the brush pile. This is a hearty reel and for just 7.3 ounces, it has some legitimate power that should not be overlooked. This has quickly turned in to one of my primary dock skipping reels. It took me just a few minutes to get it tuned to my liking and after that, I was skipping 3/8-ounce jigs from the fronts of docks all the way to the seawalls. It's actually quite forgiving, so even if you didn't make the perfect cast at the perfect angle, it seems to resist backlashing really nicely. I like that the tension knob clicks so I can keep track of my small adjustments, too. I've become a big fan of these handle knobs. 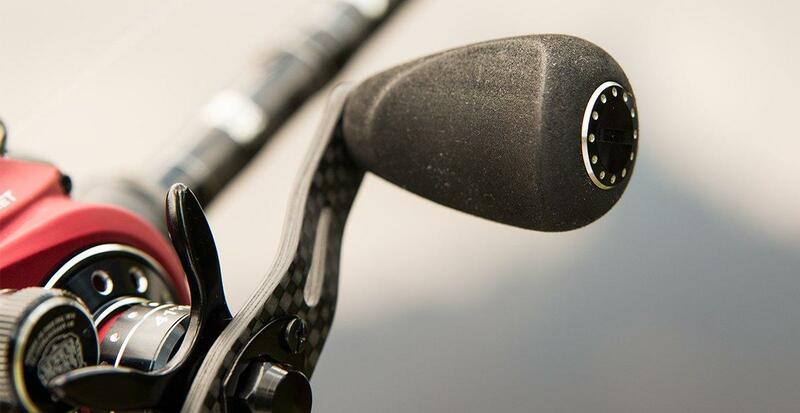 They're not the flat paddle-type; instead, they have a nice contour on each side that helps you quickly "locate" and grip the knobs in time sensitive situations. I've lost count of all the times I've busted my knuckles on reels' drag stars, but I haven't had that problem so far with the new Revo Rocket. 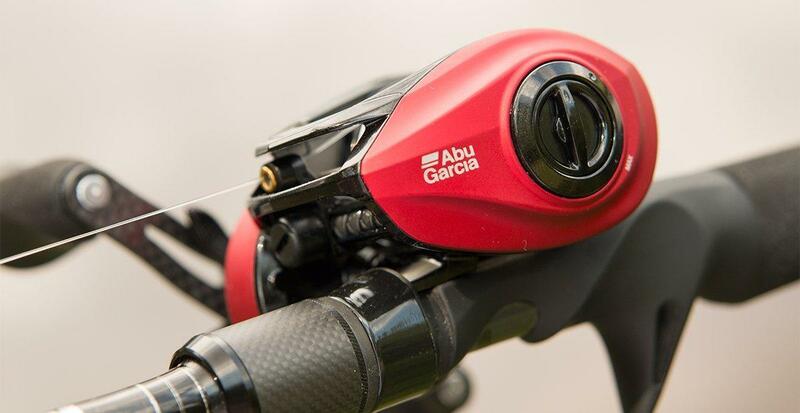 I really like that Abu Garcia decided to go with the matte red finish on this model as opposed to the shiny red finish. Although everyone has their different opinions when it comes to aesthetics, I think this matte finish resists hook and boat rash much better. If you're one of those guys who likes to upgrade your reels every few years, I can see this possibly helping your resale value. 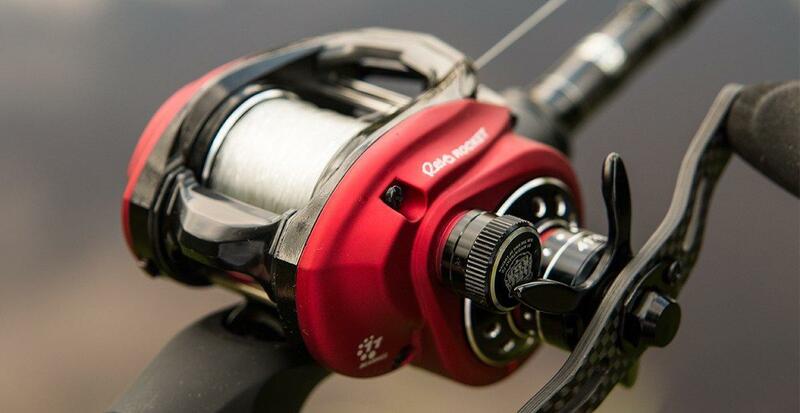 I think once the word gets out on this reel, it will be one of the top sellers of the year. They're now available for preorder, so if you're considering a purchase, I'd make up your mind quickly while there are still a few available. I've been really impressed by my experience with it and I wholly believe you will be, too. The 10.1:1 Abu Garcia Rocket is available at TackleWarehouse.com.